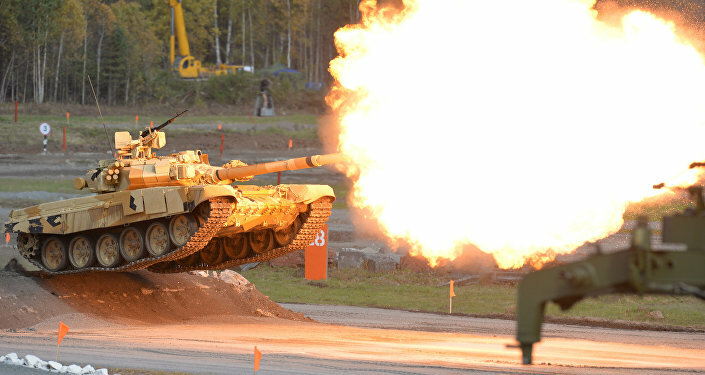 Many Middle Eastern countries have repeatedly expressed their desire to purchase large shipments of Russian T-90 tanks. If not a direct opposition from Washington, this machine possibly would have become indispensable in Arab East and in Iran. But tanks aside, Russian fighter jets are taking on a large niche in the markets of many countries of the world. The fighter jets image considerably strengthened when analysts studied and estimated the impact of Russia’s air campaign in Syria. Recently, a major stir was caused when the newest Su-35 fighter jets were dispatched to Syria. To date, this is the best multipurpose heavy fighter aircraft of the fourth generation in the world. Russian technology is in high demand in the Asia-Pacific region. China signed a contract with Russia for the supply of twenty-four Su-35 fighter jets worth about two billion dollars. Beijing became the first foreign customer of the Su-35. The delivery of the jets will begin this year. A year ago, a contract was signed for the supply of four battalions of S-400 anti-aircraft missile systems totaling around 1.9 billion dollars. The negotiations had begun in 2010-2011 and by 2014 many contentious issues had been resolved. For Russia, the successful delivery of the fighter jets to China will further improve its position in foreign markets. It is expected that the next buyer of the Russian Su-35 may be Indonesia. Furthermore, it is known that Egypt is set to buy around 50 MiG-29M / M2 which is a twin-engine jet fighter. The front-line MiG-29 appears to be a real fighter. The piloting skills and combat potential was marvelously demonstrated by Syrian pilots flying these jets recently. Earlier, it was also reported that the contract between Russia and Egypt on the supply of a large consignment of attack helicopters Ka-52 has been concluded. But it is not just the Middle Eastern and Asian countries that are interested in Russian cutting-edge technology. Armenia and Belorussia are due to receive Su-30M and MiG-29 Russian fighter jets respectively. The first recipient of the Su-30CM however, was Kazakhstan. It acquired four aircraft under contract in 2014 and ordered seven additional jets at the end of 2015.